I Love you Jefe! We made it through some dark times and there has always been some light that landed our way. I was trying to use some weed for a while but I don’t have time for it. Too much other stuff to be done each day. Don’t look at the trees or your going to run into them, look at the gaps between the trees. I had no idea, Jefe. Now that i do, I want you to know that I am in your corner all the way. Anything anytime anywhere, from me to you. A brave, honest and poignant post. I hope it touches others the way it touched me. What’s your shoe size? I know, I know, it’s not getting into the saddle, but there’s still plenty to do that never requires you to rest your hand on a handlebar. I’ve been there, in your spot, oh sooooo many times now. I try to reinvent myself, but that’s usually just me grunting at the 45-year-old body I’ve got wishing it could do the things my 25-year-old body used to. Dude, your body is still in excellent shape. 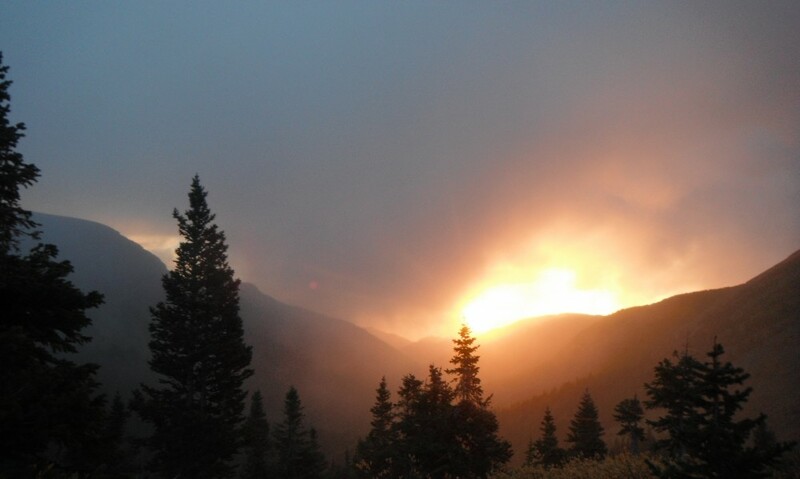 You could probably prance up any 14er 15 minutes from your house. I’ve stopped trying to recreate my life twenty years ago. I’m working daily on my health, spending as much time as I can on the trail, and, for the first time in a long, long while, feeling pretty even-keeled. I hope you can find a bit of this peace too, maybe we’ll see some trail running pictures from around Hartman’s before too long. Hey Jefe – I know we haven’t always seen eye to eye but I want you to know that I have always had a tremendous amount of respect for you! You have achieved a lot and overcome more! What I found that keeps the darkness a bay when I can no longer do what I once could is to past it along to another. Somewhere out there is next group of kids living in a trailer wondering about the meaning of life. We need to be their mentors, sounding boards when no one else wants to listen and provide guidance on how to over come the obstacles that they place in front of themselves. Let this be your next continental divide, your next boarder to boarder ride. Because if it is the challenge that fills your lungs with air there is no more challenging things then to explain the feeling to one who has never experienced it! Ride on my friend! Your are strong then you know and wiser then you feel. Jefe, you are stronger than you might realize to even share this with your friends. Thank you. Please reach out more and don’t leave us prematurely. We all have demons you know, you are not alone. Cheers my friend to finding a new passion and a life of peace that works for you! Much love and support! Reach out! Hi there Jefe. I guess alot of folks started reading your blog cos of what you achieved on the bike. We’re still reading your blog cos of what you’re achieving off it. Keep telling your stories, I’ll be here to read them.